Doyle's language is irresistible, her poems paradoxical, hungry, intense, full of longing and disgust, love and refusal. "You do not make promises. You do not plan to keep. You are not conjunctive - You are perfect. You are dangerous. You are unapologetic. You are born." 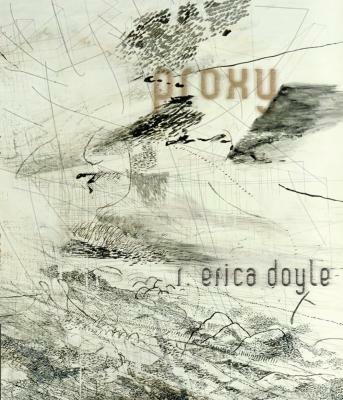 "With swagger and appetite, the poems in R. Erica Doyle's proxy reveal the costs of masking one's vulnerability. Like Arthur Rimbaud, Lucille Clifton, and Richard Siken, these poems suggest the struggle to be released from one's own depths is life's greatest adventure. PROXY asks us to perform scenarios of love and loss as if we had no other choice. Because it is difficult to resist Doyle's crisp and cannylanguage, the sum effect of this exercise is wonder." Wendy S. Walters.